wanting to obtain new heights in advertising. The structure in South Midtown at 89th and Wornall. The structure at the entrance of Ameristar Casino. graphics of any size. Click here for more information. know in times like these it takes a good strategy to continue in business . 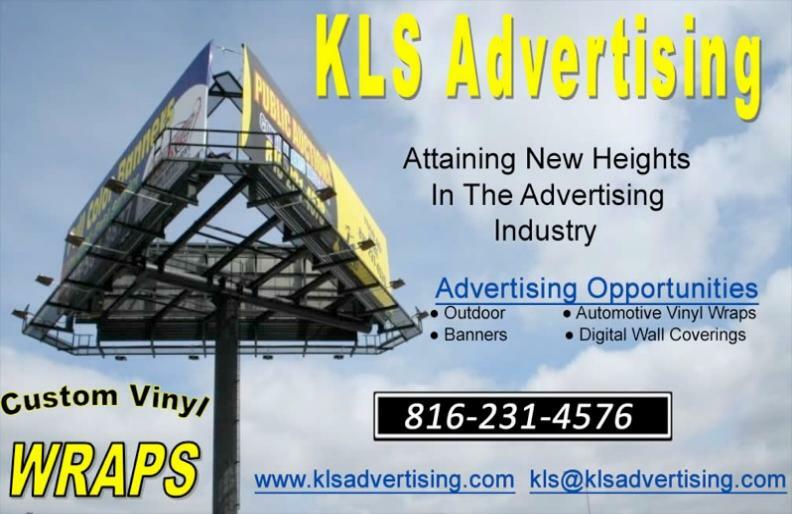 KLS looks forward to helping you succeed in promoting your business.